I wrote about my struggle with anxiety back in November, so today I’m linking up with Amanda for Thinking Out Loud Thursday to give you guys an update about how I’ve been doing. Anxiety is something that a lot of people struggle with but it’s still somewhat taboo to talk about, so I want to be more open about my anxiety in hopes that it might help someone feel less lone if they’re struggling with anxiety, too. Flashback to last fall: I’ve always had a fear of bees and wasps, but I was stung twice within two weeks, both unprovoked. I tried rationalizing that my chances of getting stung were low, but after the second sting I started to be quite scared of going outside if bees would be around. I was also really trying to build my blog and started stressing about everything that I didn’t have time to do every single day: work on social media, comment on a bunch of blogs, revamp my site and old posts, everything that bloggers are “supposed” to do to grow their blogs. My anxiety was really affecting my daily life. I couldn’t sleep because I was running through all of things that I should have gotten done on the blog the day before and everything that I needed to do the next day. I worried about everything that I felt that I hadn’t done right at work. I worried about the sleep that I wasn’t getting because my brain wouldn’t turn off. 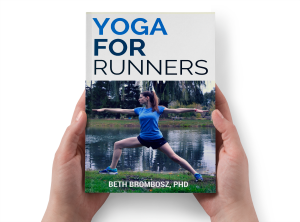 I increased the amount of time I spent practicing yoga and decreased my running mileage, trying to spend time doing more relaxing activities than stimulating activities. I meditated regularly. My regular readers probably noticed that I took a step back from blogging. I reduced how often I was posting and greatly reduced how much time and energy I spent on social media. Gradually, over the course of a few weeks, my anxiety started to get better. I stopped feeling agitated just sitting and watching TV or reading a book. I focused on my breath and calming my thoughts when I began to feel anxious. My anxiety hasn’t gone away, but it has gotten much better. Baby steps, as they say. I’m back to blogging, but trying to focus on not worrying about things that I can’t get done. I’m trying to make 2015 all about balance. What’s something that you’ve struggled with lately? Have you ever had to take a break from activities? What’s your favorite way to relieve stress and anxiety? « Why Add a Recovery Run? I’ve struggled with anxiety my whole life. That’s why I started running over 20 years ago…I needed to have an outlet for all that nervous energy. And I didn’t want to take meds. For the most part, I’ve gotten a grip on it. But I’ve written some posts on building mental toughness, because I still struggle with nervousness at the starting line. It’s a work in progress. Thank you so much for sharing. Thank *you* for sharing, Wendy! Glad to know I’m in good company. 🙂 Love the feeling of running out my anxiety and the calm that comes after. Thank you for sharing your update! I have clinical anxiety and depression, and I can absolutely attest to the power of exercise and applying myself to that type of normative and consistent activity to helping regulate my mood. So happy that you are improving. And yes, yes, yes. All about the balance. I’m glad exercise has worked for you, too. And thank you for the kind words. So glad to know you and to be blogging buddies with you! Anxiety is something that I’ve struggled with for pretty much my whole life, and while I definitely went through my fair share of periods where it absolutely crippled me, I think I’ve gotten a better grasp on it and learned how to control it better. I think one of the biggest things that helped me is remembering that anxious thought can only overwhelm me if I let them. It’s so easy to start feeling helpless when your mind starts running away with you, which is why it’s so important to fight back against those thoughts with positive and encouraging thoughts of your own. Definitely something that takes some conscious effort, but it gets easier over time. Amen to that! Taking control of the thought spiral is something that I’ve really been focusing on these past couple of months and I think it’s been helping. Thanks for your tips and for sharing your story! Thanks, Kim, for your kind wishes and your support! You’re absolutely right, there are no rules in blogging! 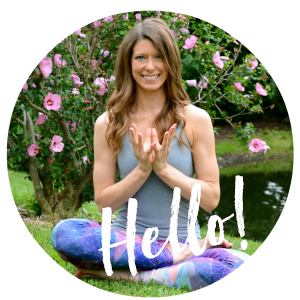 I am definitely doing better and back to what I really want to do with my blog–help people improve their lives and get healthy + active! I am so glad to hear you are feeling better these days! I just want to let you know that I very much enjoy reading your blog and thank you for always being so transparent through your posts. You are a beautiful person and I’m thankful to have you as my blogging buddy over the years! And I agree…no rules in blogging. I think it’s important to remember to not compare ourselves with other bloggers and having to feel like you fit into a mold of what a cookie cutter HLB/running blog should be. You are you unique and I love you for that! Hey! I found your blog on Twitter from Susie–the word “anxiety” caught my eye. I was diagnosed with an anxiety disorder when I was 21, after having my first child. My doctor sent me to an emergency appointment at the Women’s Reproductive Psychiatry section of Women’s Hospital here in Vancouver, BC (Canada). I was really, really, really unwell. I was on medication for years and after truckloads of psychotherapy and with miles and miles of long-distance running, I have been able to manage my anxiety drug-free for about 5 years now (I’m 37 years old). I finished my Kinesiology degree in 2009 and I wrote my Senior Thesis on the benefits of exercise on mental illness and drug addiction and not surprisingly, exercise is as effective as psychotherapy and medication combined. Pretty amazing. Anyway, I wanted to share that with you just to underline and reaffirm what you already know, and how you’re already living it out. Great post, and thank you for being vulnerable and courageous to share it with us. Hi Suzy! Thanks so much for taking the time to share your story and research with me! It’s been my experience that exercise and mindfulness have helped as much as medication, especially for the every day anxiety I have with my GAD. It’s so helpful to know that I’m not alone in my struggle, so thank you very much for your comment! I am so glad you’re starting to feel better. I’ve been doing mindfulness lately and it’s been the most helpful thing for me. Thanks, Janelle! Mindfulness is so incredibly helpful! Knowing that I can step outside my racing thoughts, take a few deep breaths, and slow things down has been a game changer! I have also been having a hard time with anxiety and allowing grace in my life. I actually deactivated my FaceBook (for awhile, not forever) just to take a step back. Maybe it’s time for some handholding in child’s pose? Aw, Audrey, I love you so much! Yes, let’s hold hands in child’s pose forever! Great post. I’m glad you are feeling better. I agree. Blogging is one of those things where there is always more to be done, but at a certain point, I just do what I can with the time I have, and that is enough. It’s not perfect, but neither am I!